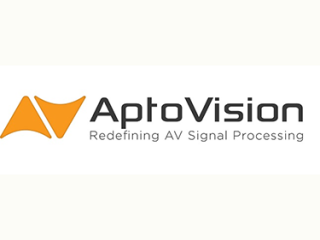 At InfoComm 2016, AptoVision will feature an interactive, head-to-head demonstration of several widely-adopted codecs for AV-over-Ethernet applications, including the company’s BlueRiver NT+ technology. Pro AV system integrators, designers, consultants and users will have the opportunity to compare video quality, latency, and bandwidth requirements for AV signal distribution and get all their questions answered by AptoVision’s engineering staff. Topics could include H.264/AVC, H.265/HEVC, MJPEG, VC-2, DSC and inter-frame vs. intra-frame encoding.